With every dimension, we add to the volume of data, we believe that we add a new perspective in our understanding and interpretation of the data. In microanalysis adding space or time dimensionality has led to the development of 3D compositional tomography and dynamic or in situ compositional experiments. 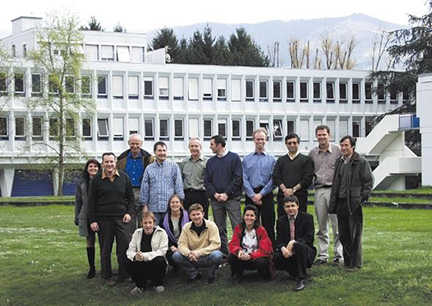 3D compositional tomography or 3D EDS is developing rapidly and getting wider acceptance, although it still presents challenges such as the photon absorption, associated with sample thickness and time consuming acquisition process, which requires a high level of stability, especially for TEM microscopes. After setting up a multi hour experiment in a TEM to gain a 3D compositional EDS map, one may wonder Is there any shortcut to getting a ‘quick’ glimpse into 3-dimensional elemental distribution? The good news is that there is one and compared to tilt series tomography, it can be a ‘snapshot’ type of the 3D EDS map. 3D distribution of Nd in steel. To enable such 3D EDS mapping on the conceptual level we would need at least two identical 2D TEM EDS maps acquired with photons having different energy – so you can slide along the energy axis (adding a new dimension?) and use photon absorption as a natural yardstick to probe the element distribution along the X-ray path. Since the characteristic X-rays have discrete energies (K, L, M lines), it might work if you subtract the K line map from the L line or M line map to see an element distribution based on different absorption between K and L or M line maps. Ideally, one of EDS maps should be acquired with high energy X-rays, such as K lines for high atomic number elements, and another with low energy X-rays where the absorption has a significant effect, such as for example M lines. Indeed, in the case of elements with a high atomic number, the energies for K lines area ranged in tens of keV having virtually 0 absorption even in a thick TEM sample. So, it all looks quite promising except for one important detail – current SDDs have the absorption efficiency for high energy photons close to actual 0. Even if you made your SDD sensor as large 150 mm2 it would still be 0. Increasing it to 200 mm2 would keep it steady close to 0. So, having a large silicon sensor for EDS does not seem to matter, what matters is the absorption properties of the sensor material. Here we add a material selection dimension to generate a new perspective for 3D EDS. And indeed, when we selected a CdTe EDS sensor we would able to acquire X-rays with the energies up to 100 keV or more. 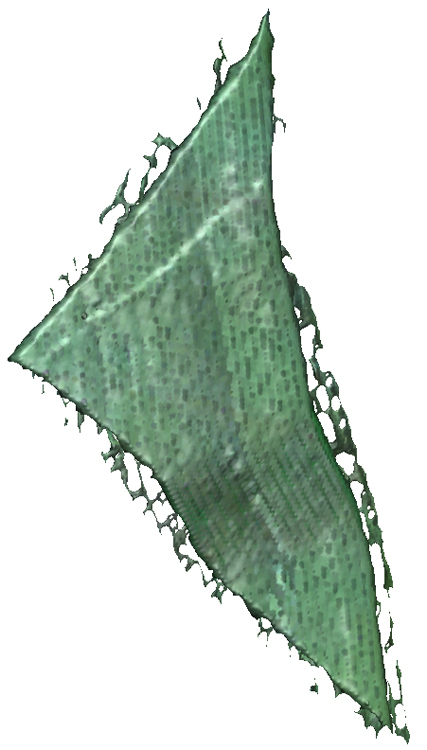 To summarize, using a CdTe sensor will open an opportunity for a ‘snapshot’ 3D EDS technique, which can add more insight about elemental volume distribution, sample topography and will not be limited by a sample thickness. It would clearly be more practical for elements with high atomic numbers. Although it might be utilized for a wide yet selected range of samples, this concept could be a complementary and fast (!) 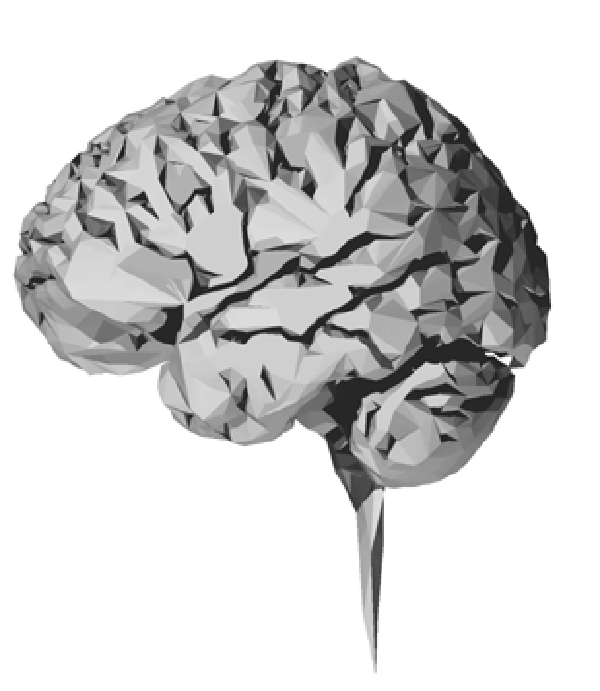 alternative to 3D EDS tomography. I’ve always liked learning about space. I remember in 2nd grade we had a test, and the final question was “If you think the Sun is hot, look in the sink”. It was very rewarding, and obviously memorable, to find a basket of candy there. With EDAX, I’ve had the opportunity to work with many groups involved with space-related research, including NASA and a visit to the Kennedy Space Center to train users. 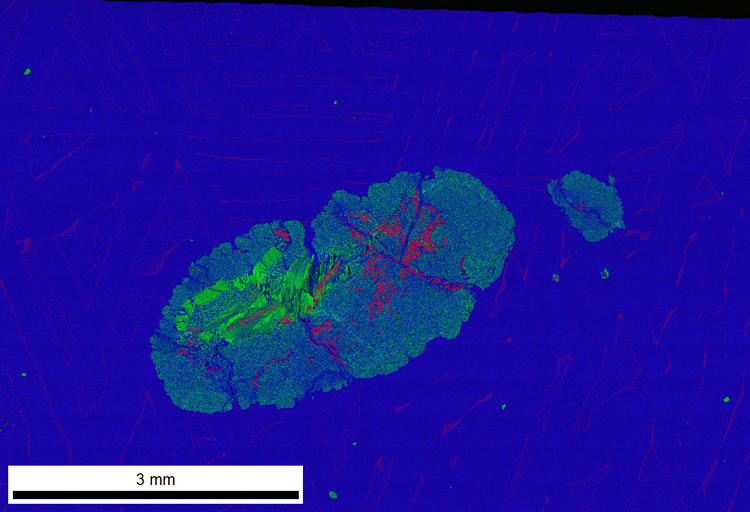 Recent confluence of events motivated me to write about my experiences using EBSD to analyze meteorites. 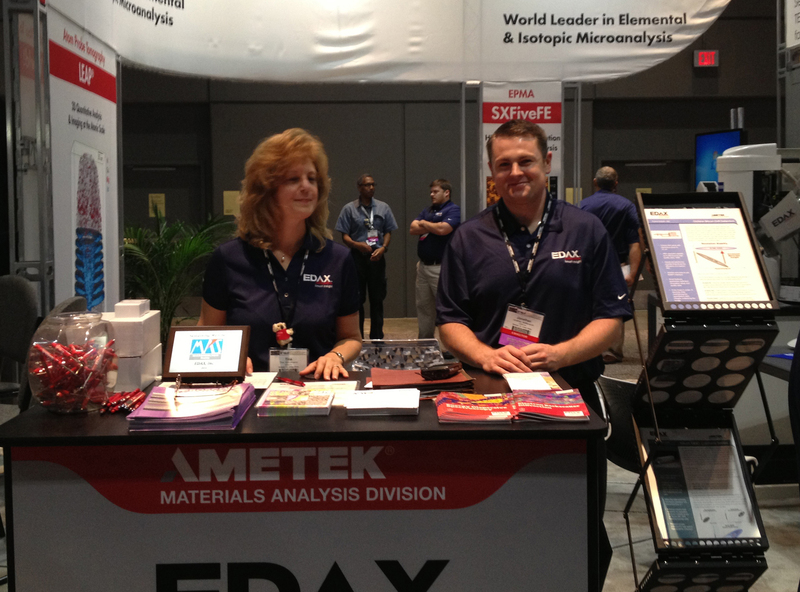 Second, Shawn Wallace recently joined EDAX as an Applications Engineer. Previously he had been at the American Museum of Natural History in New York City where his research focused on meteorites for understanding planet formation. Third, I’ve spent some time testing ComboScan, where we montage multiple fields of view together for large area EBSD mapping. Turns out the Gibeon meteorite is a great sample for this application. 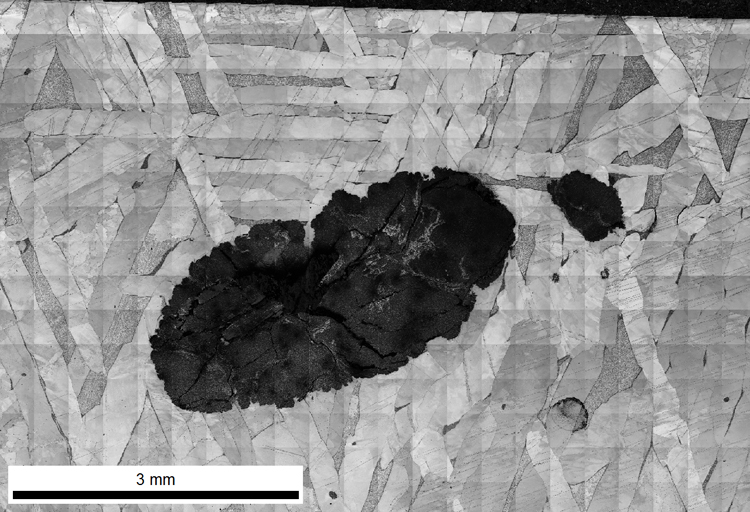 Fourth, and finally, I was recently at a workshop where Joe Michael from Sandia National Laboratory showed transmission-EBSD (t-EBSD, or TKD) results from this Iron meteorite. I found it very interesting that this same meteorite could be used with EBSD on areas of interest ranging from centimeters to nanometers, and show interesting and useful results. 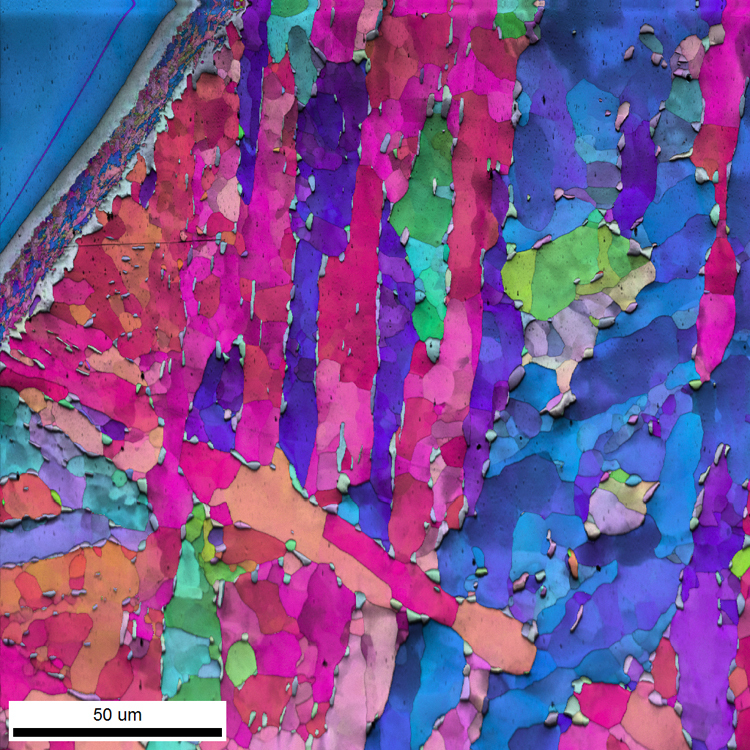 Figure 1 shows an EBSD image quality and orientation map (subsequently referred to as EBSD map unless otherwise noted) collected from a polished slice of the Gibeon meteorite, an iron meteorite. The area mapped was approximately 27 mm x 15 mm with an 8µm step size. The microstructure shows a classic Widmanstätten pattern of geometrically arranged plates that correlated with the crystallography of the material. This structure develops as face-centered cubic taenite slowly cools and transforms into body-centered cubic kamacite at specific sites on the taenite crystal lattice. 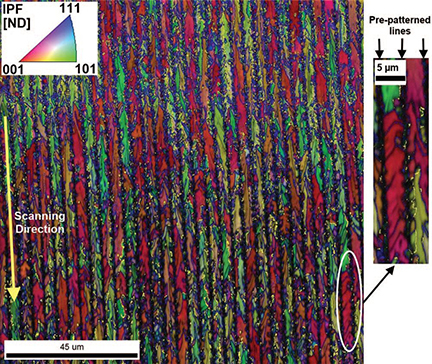 The orientation relationships that develop are easily observed and measured using EBSD. Figure 1 – Large area EBSD map of Gibeon meteorite. Visually it is easy to see the long plates of kamacite at this magnification, but you can also see areas of finer microstructure. 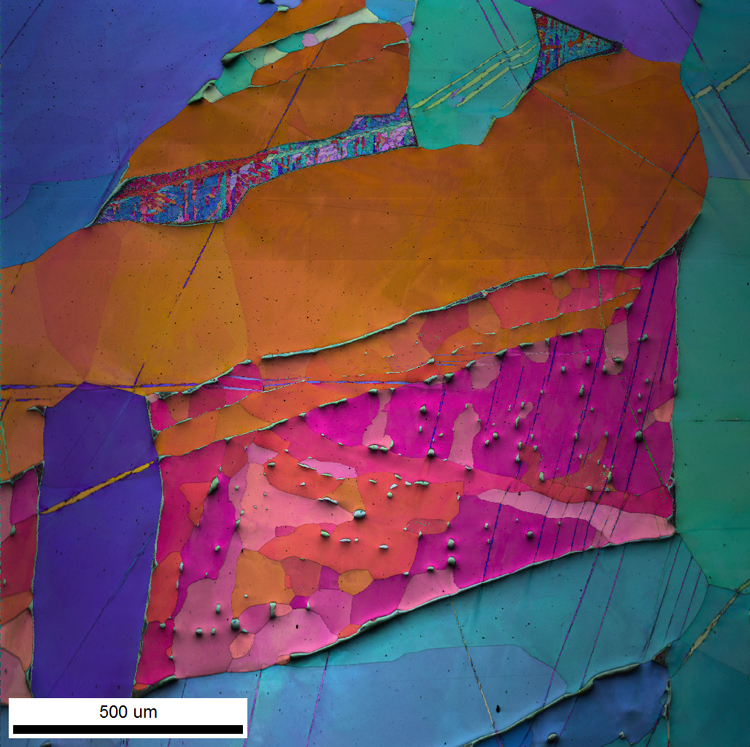 Figure 2 shows another EBSD map collected at 100X magnification with a 850 nm step size. Here you can see 3 different length scales of material, the large kamacite plates, a smaller field of both kamacite and taenite, and regions of fine-grained microstructure. Figure 2 – 100X EBSD map of Gibeon meteorite. Pushing the magnification higher, Figure 3 shows an image collected at 1,000X magnification with a 100 nm step size. Figure 4 shows the same data presented as a phase map, with the kamacite phase colored blue and the taenite phase colored yellow. We can clearly resolve the taenite grains within the field of kamacite. You will also notice that the majority of the taenite grains have the same orientation in this region. This is an area of incomplete transformation, and is similar to retained austenite engineered into modern steel alloys. You can also see running through the upper left corner of the map a thin band of even finer microstructure. Figure 3 – 1,000X EBSD map of Gibeon meteorite. 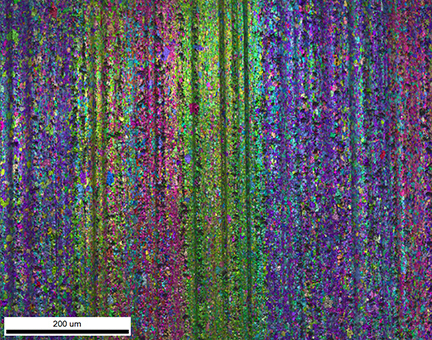 Figure 4 – 1,000X EBSD Phase map of Gibeon meteorite. 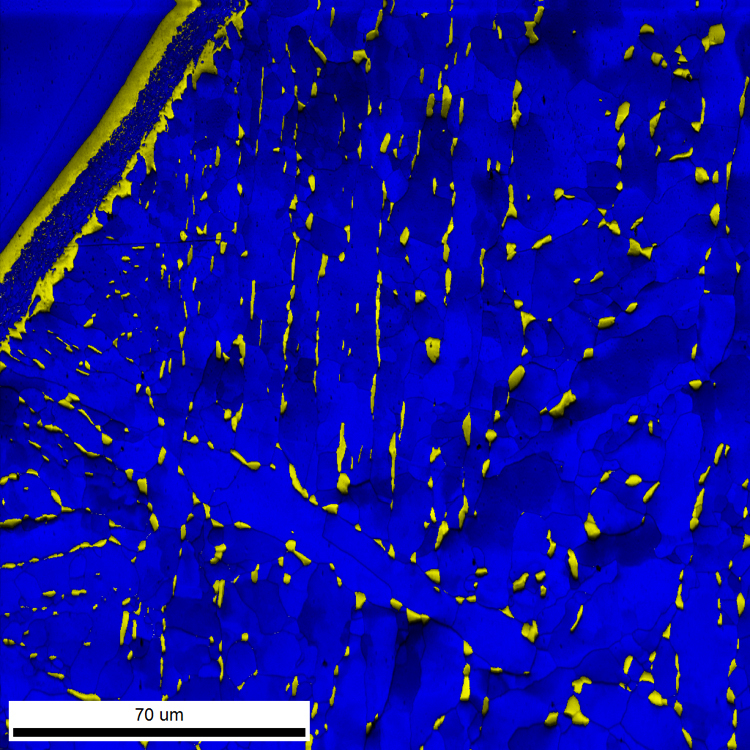 This fine microstructure was analyzed with a 25 nm step size, and is shown in Figure 5. The same geometrical relationships observed on a mm-scale are reproduced on a nm-scale. 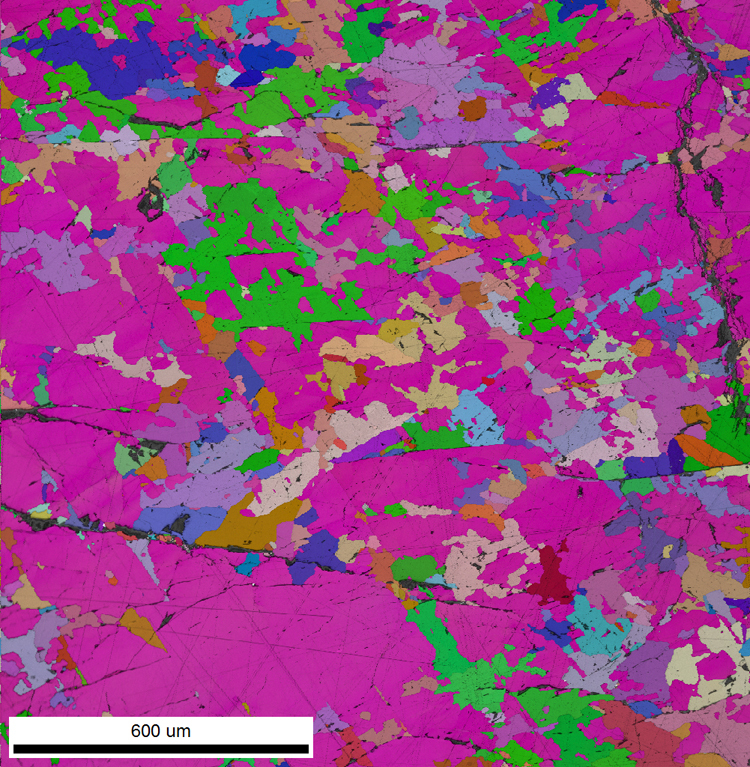 This sample nicely shows how EBSD can be used to characterize materials across the spatial range. Figure 5 – 8,000X EBSD map of Gibeon meteorite. Of course these are all 2D slices on what is a very interesting 3D microstructure. 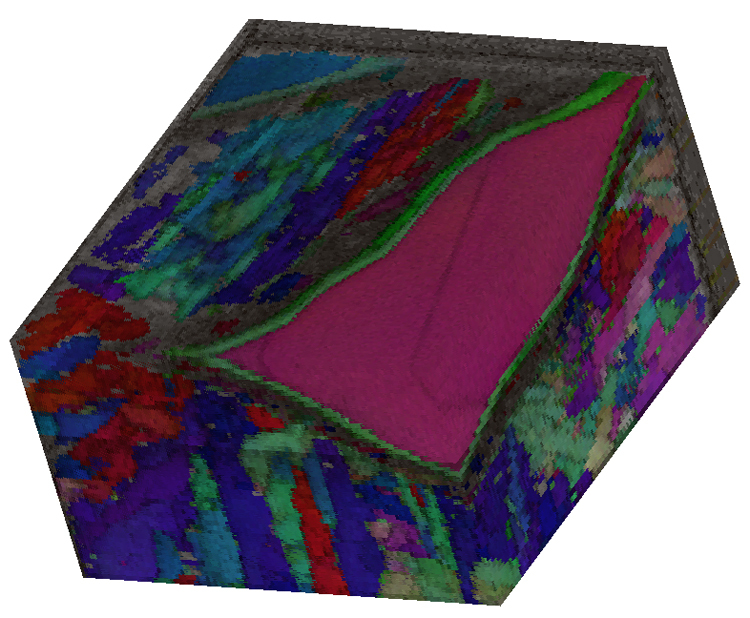 To go further, I used an FEI Quanta 3D Dual Beam instrument to collect EBSD data from FIB serial-sections, and used the tools in OIM Analysis to reconstruct the microstructure in three dimensions. I targeted a region where the fine microstructure was adjacent to one of the larger kamacite grains, and the 3D volume is shown in Figure 6. The large kamacite grain is easily seen, along with the interface layer bordering this grain. The majority of the displayed volume here is the fine dual-phase microstructure. Figure 7 shows an animation of the entire 3D volume. 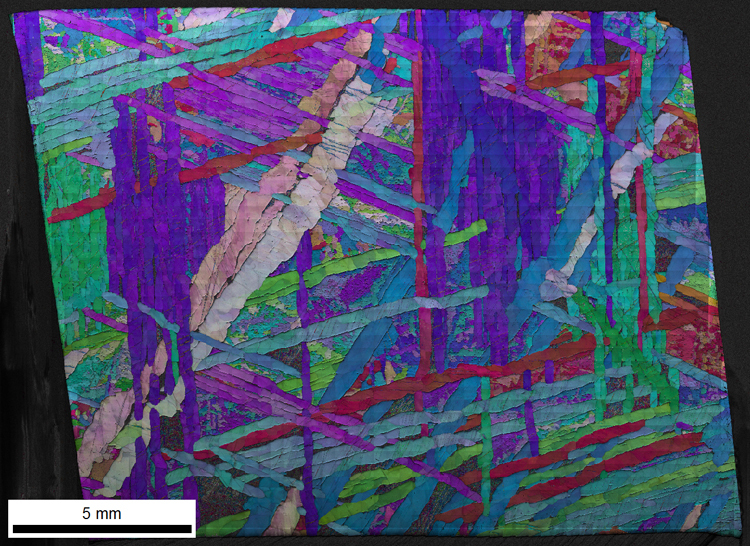 Figure 6 – 3D EBSD data from Gibeon meteorite. Once the 3D data has been collected and reconstructed, it is possible to identify and select specific grains of interest for analysis. In Figure 8, I selected a kamacite plate, and in Figure 9 I selected the interface grain between the larger and smaller microstructures. The 3D grain information is able to show how these different plates grow and fit together, like pieces of a complex jigsaw puzzle. Figure 8 – 3D Kamacite lamella grain. 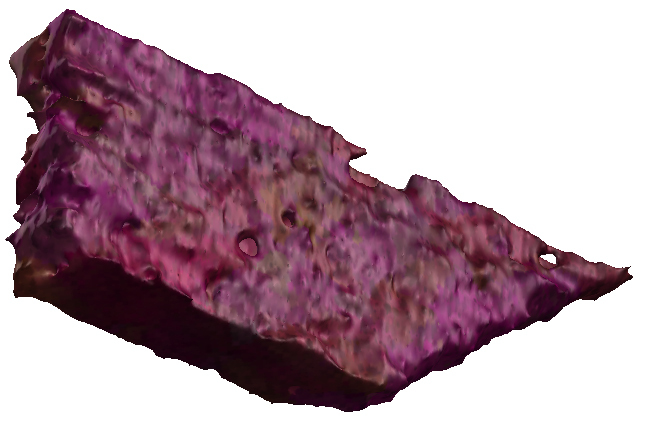 Figure 9 – 3D interface in Gibeon meteorite. Other regions of the Gibeon meteorite show interesting inclusions that can be analyzed with both EBSD and simultaneously collected EDS data. Figure 10 shows a large area Image Quality map with two visible inclusions. Figure 11 shows a composite EDS map, where the Iron signal is colored Blue, the Nickel signal is colored green, and the Sulfur signal is colored Red. The inclusion exhibits a Sulfur zoning profile, and can be correlated with the orientation microstructure. 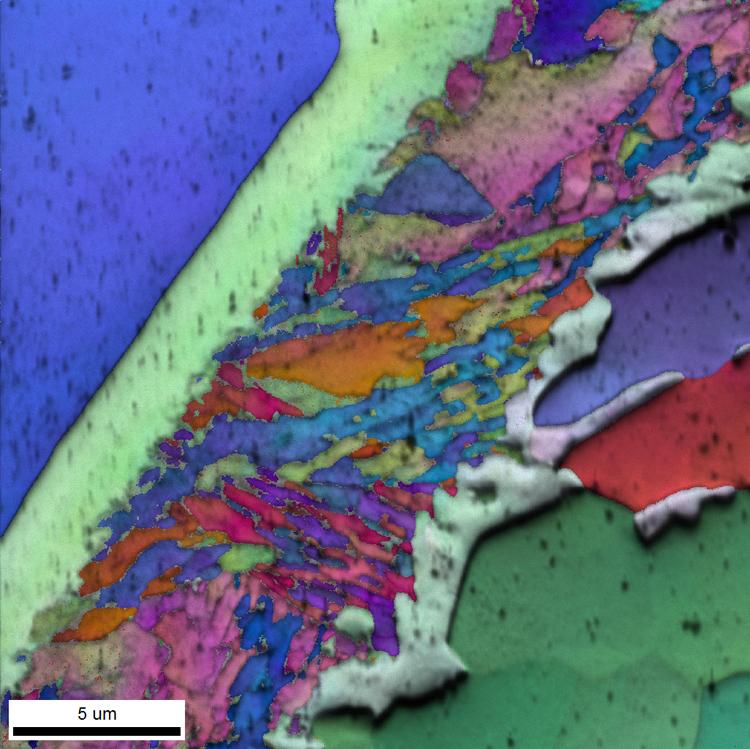 Figure 10 – EBSD Image Quality map of inclusion in Gibeon meteorite. Figure 11 – Composite EDS map of inclusion in Gibeon meteorite. Finally, this work has focused on results from one specific meteorite, the Gibeon meteorite. As Shawn would tell us, there are many, many more, which tell interesting tales about the Universe we live in. 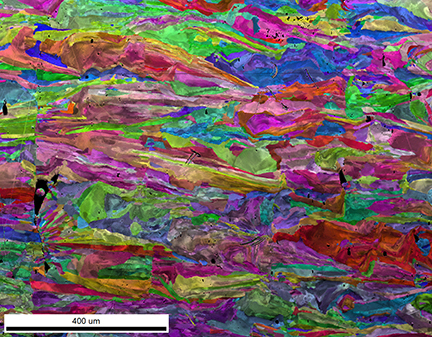 Figure 12 shows an EBSD map from a meteorite section we analyzed at the University of Arizona. This meteorite is primarily enstatite. I’m excited to learn what this microstructure has to tell us in their future work! It is well known that the physical properties of objects depend highly on their 3D structure. Recording and displaying the 3D structure is a fairly recent phenomenon. In the past, most analyses were limited by recordings using film or only the surface of the object. The advent of modern technology and computing power has made 3D rendering more widespread. A number of modern techniques can acquire numerous image slices which can be rendered via software into 3D images. These can then be manipulated in time and space for a more accurate interpretation in a shorter time than could be obtained by viewing the series of slices. 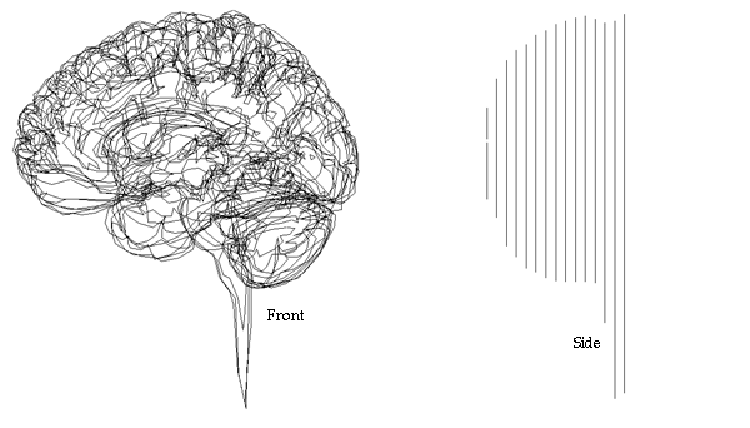 A familiar example is that of a CAT scan of a human head. 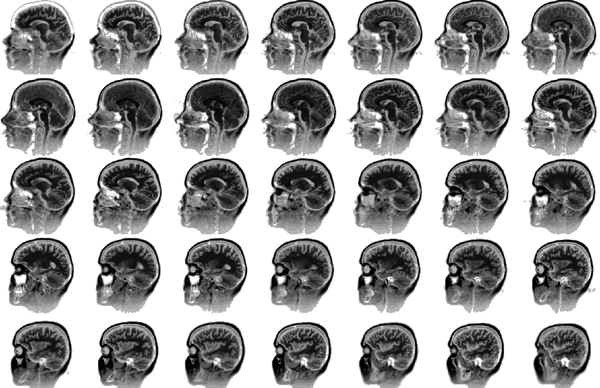 A series of X-ray slice images are acquired showing the density within the skull. A range of image intensities can be extracted into outlines. These outlines can then be viewed on a computer screen. However, they are difficult to interpret because they are still only a series of outlines. The real power for interpretation occurs when triangulation or surfaces are used to connect the outlines into meaningful 3D renderings. Similar sectioning ideas have been applied to electron-beam microanalysis techniques. But the benefits to the analysts really become evident when the software contains features to aid in both the image and compositional interpretation of the objects. 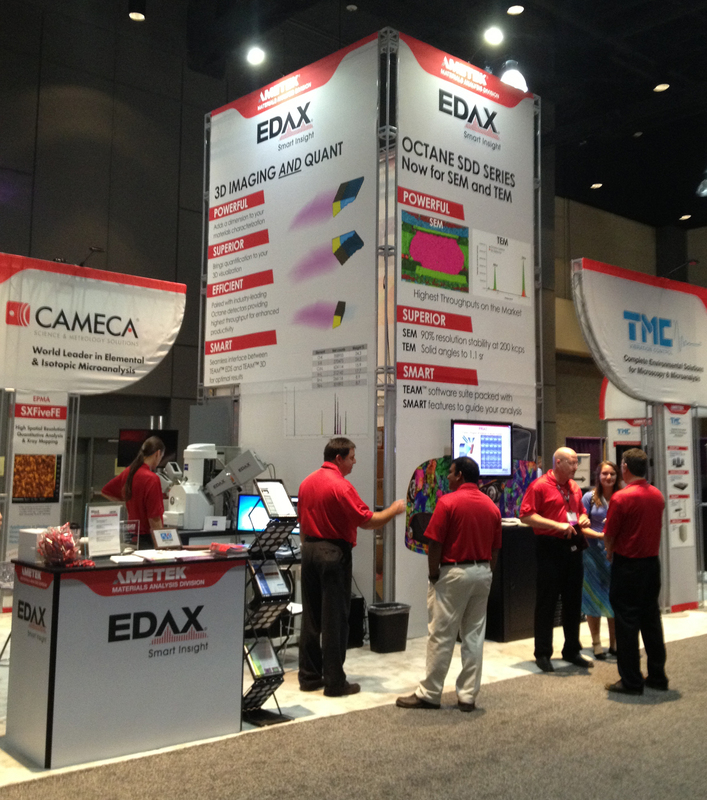 Sign up for a webinar “3D EDS: Visualizing the true structure of materials”, presented by Materials Today and EDAX Inc. on Wednesday, July 30th at 11:00am EST to see the latest developments in 3D EDS microanalysis.